How to see the followed publisher & developer pages? 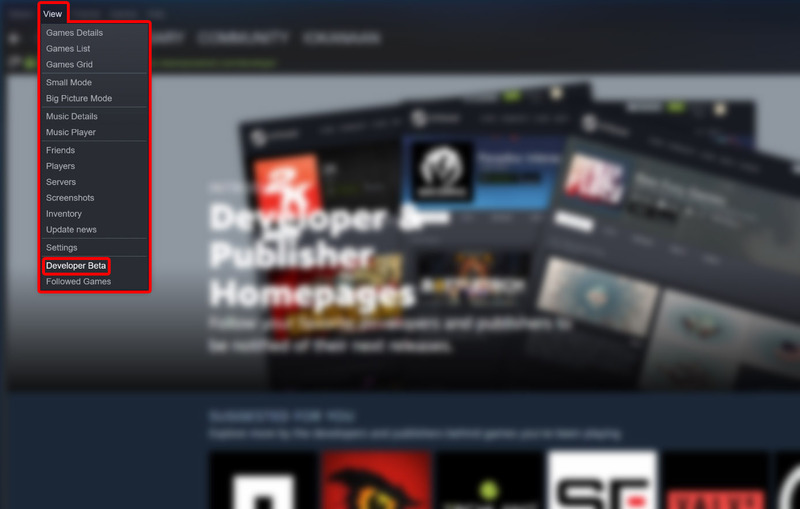 Steam recently added own pages for publishers and developers (central "hubs" for their games) which count the number of followers. Can I see all followed parties at once like for followed games and groups? This feature is currently in an open beta, which means we're still working on it, but it's open to all developers and publishers and visible to players. As of now, AFAIK (based solely on lack of evidence to the contrary), it is not possible to see a list of the developers and/or publishers that are followed. I presume that, once it comes out of beta, an extra submenu will be inserted under 'Store'. However, because there is not even a quick access button to the developers page, I cursorily implemented one in Steam. You can download the necessary files here. 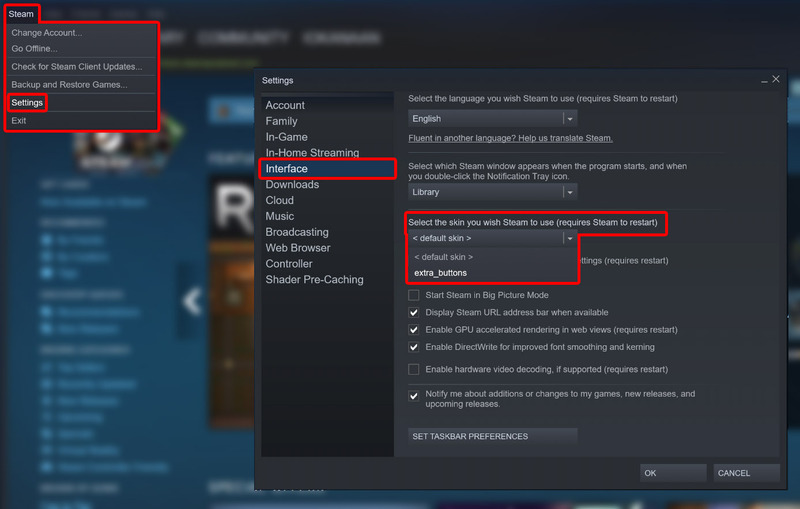 To install, unpack (the folder inside) to the Steam\skins folder (default C:\Program Files (x86)\Steam\skins), restart Steam, go to 'Steam' -> 'Settings' -> 'Interface', choose 'extra_buttons' from the third drop down menu (under 'Select the skin you wish Steam to use')..
Now, under 'View', there should be two new buttons, including one that lets you go directly to the developers/publishers page. How can I quickly tell whether I own a different version of the same game on Steam? Buying games from Steam in foreign store? How can I find the non-family games in my Steam library? Why does Steam sort by playtime incorrectly? Is it possible to see a feed of my followed games?